OPTIMIZE YOUR TRACTOR'S ENGINE WITH OUR TUNINGBOX PRODUCTS! TuningBox performance chips are designed specifically for agricultural machinery and with your needs in mind: significantly better performance (20-25% torque and power boost) and up to 15% less fuel consumption. Other benefits of TuningBox Agri: quick and easy “Plug and Drive” installation, no mechanical knowledge required, compatible with all gearbox types (Vario, Autocommand, Powershift, etc. ), compatible with the latest technologies (DPF, SCR, AdBlue, EGR, etc. ), compatible with Final Tier 4/Stage IV engines (latest pollution control standards). Was developed as a specific chiptuning unit to boost engine performance in tractors and forest machines. These performance chips are designed specifically for agricultural machinery and with your needs in mind: significantly better performance (20-25% torque and power boost) and up to 15% less fuel consumption. – Quick and easy “Plug and Drive” installation, no mechanical knowledge required. TuningBox Agri is equipped with connectors identical to those used by the manufacturers. This allows a fast and efficient connection without cables cutting and re-soldering. So, if you wish to take out the additional unit, you can do so by using simple plugs. It leaves no trace on the engine, or in the computer memory of the vehicle. 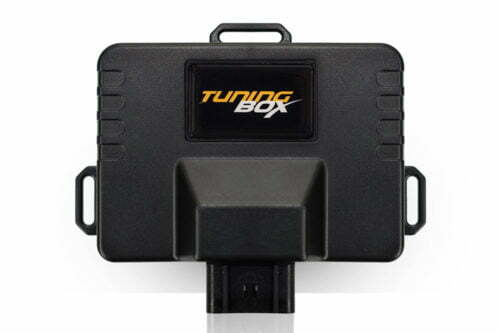 By operating within the manufacturers’ tolerance limits, TuningBox does not in any way reduce the life span of the engine or other organs of your car. – Compatible with all gearbox types (Vario, Autocommand, Powershift, etc.). – Compatible with the latest technologies (DPF, SCR, AdBlue, EGR, etc.). – Compatible with Final Tier 4/Stage IV engines (latest pollution control standards).